Seibertron.com member reluctantyouth just dropped by with some pretty awesome news for everyone! 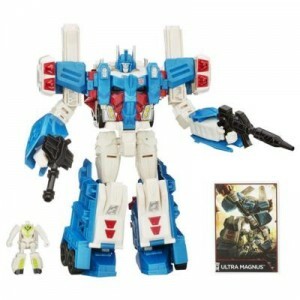 As of 9:40 eastern time zone Combiner Wars Leader Class Ultra Magnus is in-stock at Hasbro Toy Shop! You can get this highly anticipated release but clicking on the picture below! And remember keep your optics tuned to Seibertron.com for the latest in news and updates, plus the best galleries around! Snagged one too! Thanks for the hot tip! I'm thinking maybe I should snag another even though mine is coming snail mail from Amazon and should be here tomorrow. I just wish Viper was in stock so I could get free shipping. I don't have the extra cash right now to dish out for Cyclonus. Cyclonus and Viper are the only two I'd like to add to the ranks right now. Does anyone have any shipping/discount codes? He's just shy of the free shipping at $50. dedcat wrote: Does anyone have any shipping/discount codes? I noticed that too. But then realized I had a promo code from my last HTS purchase that worked. I think those are a one and done deal though. Now all I need are 3 of the 4 Deluxe Protectobots. I'll just wait till he shows up at Kmart (if he show up of course. I want enough to get him, but not enough to spend those prices.) Shopping at the place you work does have some advantages. So while I was working on the gallery for Ultra Magnus and Minimus Ambus, it occurred to me what a possible remold could be for these guys: Star Convoy with Hot Rodimus. Minimus Ambus basically has a Cybertronian Hot Rod alt mode. Star Convoy wouldn't be a big stretch if you gave him the car trailer mode instead. Seibertron wrote: So while I was working on the gallery for Ultra Magnus and Minimus Ambus, it occurred to me what a possible remold could be for these guys: Star Convoy with Hot Rodimus. Minimus Ambus basically has a Cybertronian Hot Rod alt mode. Star Convoy wouldn't be a big stretch if you gave him the car trailer mode instead. P.S. - Not my photo. SWEET! Got me Magnus ordered. Magnus alone would have cost me total $57, with paid shipping where its under $50. I added Powerglide and legends Strongarm w/Magnus then %15 off code and total is $53, lol. Turned out pretty nice. Moonshot wrote: SWEET! Got me Magnus ordered. 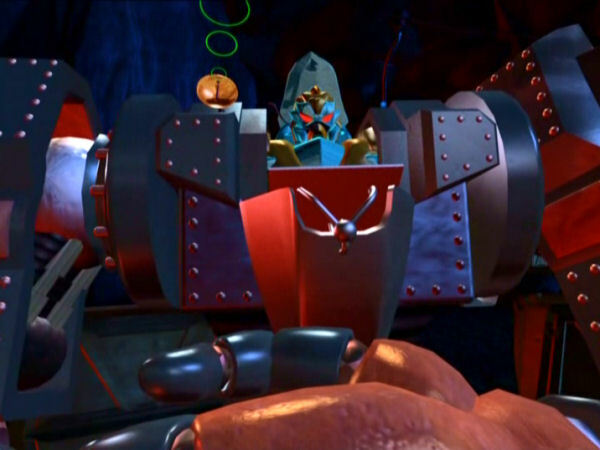 Magnus alone would have cost me total $57, with paid shipping where its under $50. I added Powerglide and legends Strongarm w/Magnus then %15 off code and total is $53, lol. Turned out pretty nice. Sorry it was one Hasbro sent when I bought something before. Nice, thanks to a one-time-use coupon code I got from HTS with my last order Magnus only came to $38.24. Tossed in Legends Acid Storm and Thundercracker and it came to under $60 after tax. Great deal! Swiped a Magnus and added Air Raid (finally!) Me = happy camper! Rated X wrote: I still dont see the purpose of this figure. 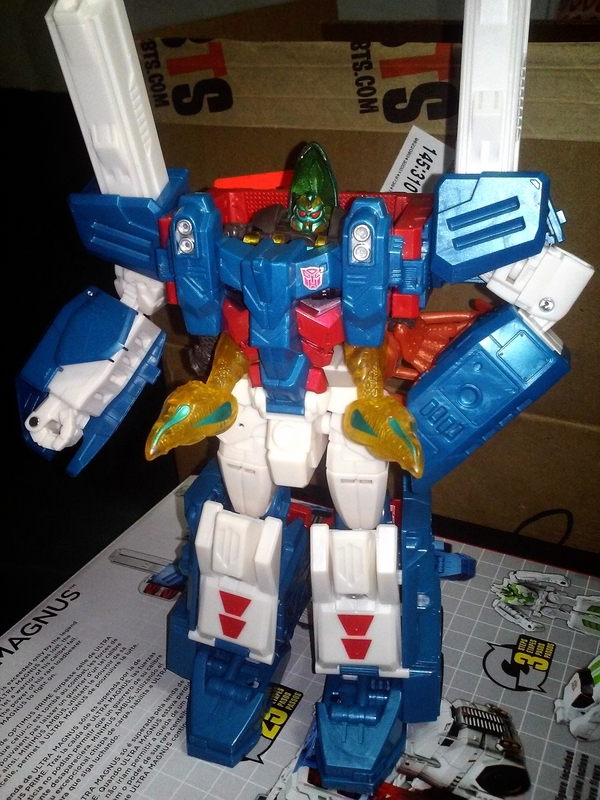 MP Thundercracker already exists. If its supposed to be CHUG, why would you want Thundercracker to be the same size as Skyfire? Ah, it just wouldn't be a seibertron.com thread without Rated X complaining about something. I was getting worried. Yah, that just doesn't do it for me. Thanks for the pic though!